So you've decided to explore Greece by car - bravo! (And yes, due to the Venetian Occupation of many of the islands of Greece, you will hear "bravo" as an accolade in Greece as well as Italy.) But wait - what's that odd object stretching across the lanes and blocking the highway up ahead? It's a bank of the dreaded toll booths - and you're about to pay for the privilege of traveling on that section of road. The toll booths are found on the freeway-like National Roads or Ethniki Odos which are designed for quick, long-distance travel throughout Greece. You'll find them on the main road running between Athens International Airport and the city center, and the toll will often be in addition to your quoted taxi fee. Sometimes a traveler is lucky - the National Road running along the top of the big Greek island of Crete does not have toll booths - there are no roads with tolls on Crete. The downside is that there are few roads that would qualify as highways on Crete - only the National Road and a small part of the north-south road running from Heraklion to Moires offer a highway-like driving environment. If you're used to using toll roads in the United States, you'll probably find that Greek toll booths are farther apart and that your costs are cheaper than traveling an equivalent distance on toll roads in the United States. On a trip to toll-happy Illinois from toll-free California, where only a few "private" roads are charge tolls, I was amazed at how expensive highway travel fees were for a short trip - much more expensive for the distance covered than any tolls I've paid in Greece. Where Are the Toll Roads in Greece? Attiki Odos - This toll road crosses Attica, the peninsula where Athens is located and runs toward the Peloponnese peninsula. Egnatia Odos - Also known as the A2. This toll road in Northern Greece, which partially follows an ancient Roman road, runs between Epirus to Macedonia and on to Thrace. Corinth-Patras - While not considered to be the same quality as some of the other toll roads, it's still the quickest way to get across the northern portion of the Peloponnese peninsula. But it runs parallel to the old coastal road, which travels through each beachside village, so if you want a slower but more scenic option, it exists for this route. Athens-Thessaloniki Known variously as Motorway 1, the A1, the E75, or the PAThE (for Patras, Athens, Thessaoniki, and Egnatia), this road is an easy way to get between the two main cities of Greece. There are modern truck-stop type complexes offering food, gas, and souvenirs, and many opportunities to pull off for a meal or some sightseeing. It still has a couple of narrow spots which are slated for expansion, but most average drivers will be happy driving on this road with at least two lanes in both directions along most of its length. The toll fees may change at any time, but they are usually from about .70 Euro cents to about 2 Euro per segment. You'll want to keep some 1 and 2 Euro coins handy while you are driving. How Can I Avoid the Toll Roads in Greece? The quick answer is that you may not want to try. Greece has been fairly discreet in adding toll booths, and they usually are only on the roads which are by far the most convenient for travelers to use, at spots where alternate routes don't make much sense. 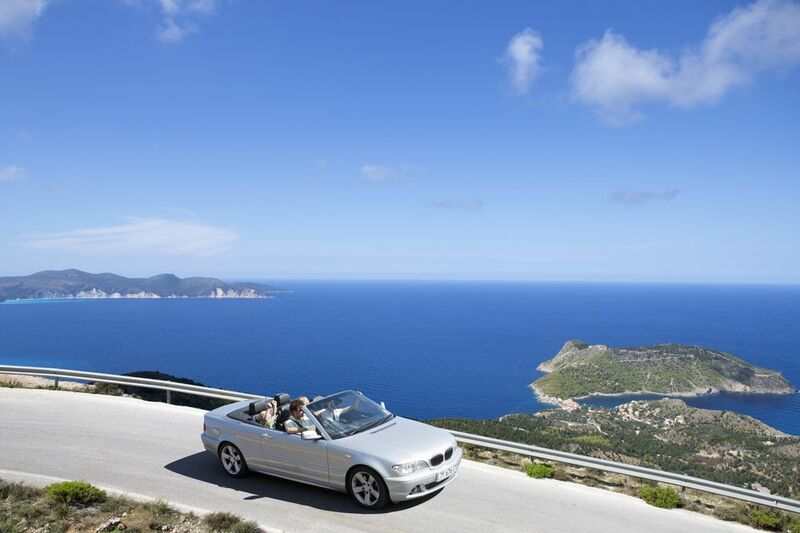 If you love back roads and driving in Greece, you can get around them readily enough, but for the average tourist, the convenience and speed that they offer are too much to resist.